Just in Time for Christmas Giveaway! Home » Blog » Just in Time for Christmas Giveaway! Ready for another giveaway? Since Christmas is only a few weeks away, we here at Christmasgifts.com have come with a new giveaway that you can treasure for a lifetime. We are proud to announce “Just in Time for Christmas Gift Giveaway”. One lucky recipient will receive their special Lexington Money Clip, a prize worth $125 USD. Copper is sky-high on the commodities market today, and there are up to 5 American workers involved in the creation of this pure copper masterpiece. Every step in the unique manufacturing process is still done by hand and comes with a Lifetime Guarantee. Sponsored by Jacob Bromwell, this makes a lovely Christmas gift or client gift. 1. Like us on our Facebook page by clicking here. What favorite Christmas Gift would you give to the Man in your life? I would give my man the lexington money clip!!! I would give the man in my life this beautiful Lexington Money clip filled with money to help finish his man cave(office). New tires for his truck. I would give him a money clip and a bracelet. A game cam so we can see the animals in the woods on our relative’s property. i would love to buy my husband a new bass guitar, thank you. I would love to give my husband a son! He already received one of his Christmas gifts early – a Kindle Fire. He recently said he wanted something that would hold his money, but didn’t want a new wallet, so this money clip would be perfect! Thanks for the chance to win it for him. Gratitude for all he does throughout the year! Money tp put in this clip! 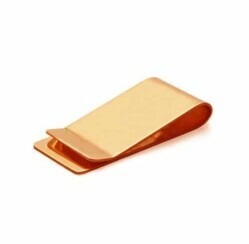 The Lexington Money Clip–sans the money! Money in his new money clip!